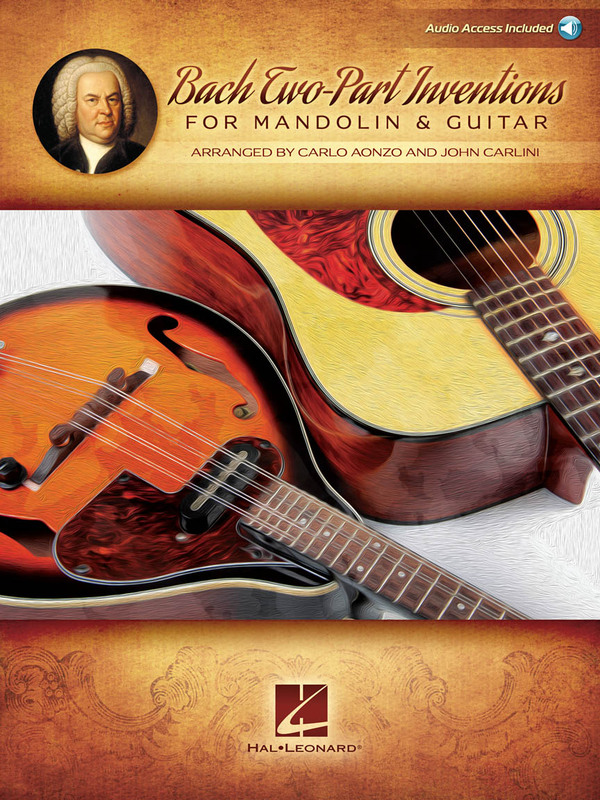 Bach Two-Part Inventions for Mandolin & Guitar . SHEET MUSIC BOOK WITH CD, FOR MANDOLIN AND GUITAR. LIBRO DI MUSICA CLASSICA CON CD. Unique arrangements by two skilled arrangers for a beautiful playing result. The book includes access to online audio for download or streaming of recordings of each invention plus separate mandolin and guitar parts. BACH CELLO SUITES FOR ELECTRIC BASS. TABLATURE. All six of J.S. Bach's essential suites for unaccompanied cello are arranged here for bass guitar in standard notation and tablature. Includes: Suite No. 1 in G Major, BWV 1007 • Suite No. 2 in D Minor, BWV 1008 • Suite No. 3 in C Major, BWV 1009 • Suite No. 4 in Eb Major, BWV 1010 • Suite No. 5 in C Minor, BWV 1011 • Suite No. 6 in D Major, BWV 1012. TUTTI I 48 PEZZI PER IL CLAVICEMBALO BEN TEMPERATO. SPARTITI PER CHITARRA CON PENTAGRAMMA. PRESTI-LAGOYA COLLECTION VOL.2. PRELUDES AND FUGUES FROM "THE WELL-TEMPERED CLAVIER"
BY JOHANN SEBASTIAN BACH. PER 2 CHITARRE. 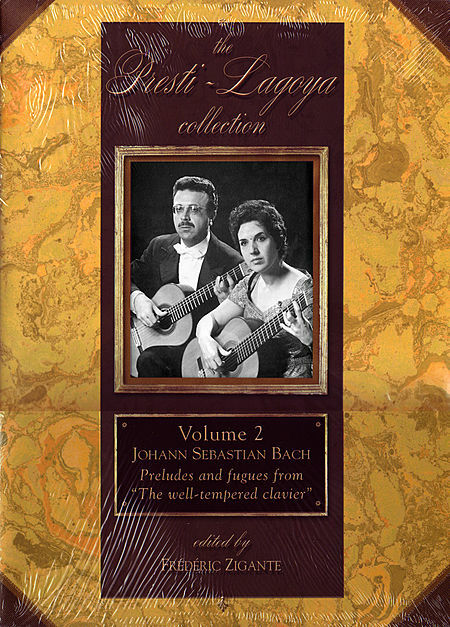 The Presti-Lagoya Collection Vol.2 (Preludes and Fugues from "the Well-Tempered Clavier"). Composed by Johann Sebastian Bach (1685-1750). Edited by Frederic Zigante. For 2 Guitars. Score and parts. The second installment of this collection from Berben contains both transcriptions of Bach's preludes and fugues from "The Well-Tempered Clavier" and original performance works for two guitars created by classical guitar masters Ida Presti and Alexandre Lagoya. French master classical guitarist Frederic Zigante has carefully translated and adapted the original manuscripts of Presti and Lagoya for modern use, while remaining faithful to the stylistic decisions and marking made by the arrangers. This edition contains two separate guitar parts and a score, with exhaustive references and a thorough foreword. For advanced players. 14 SONO TRATTI DAL 'NOTENBUCHLEIN FUR ANNA MAGDENA BACH''. Its not the only transcription of Bachs Toccata & Fugue in D minor, but its certainly a contender for top notch. At around 13 minutes in length this version could perhaps offer highly ambitious players an alternative to the famous Chaconne. 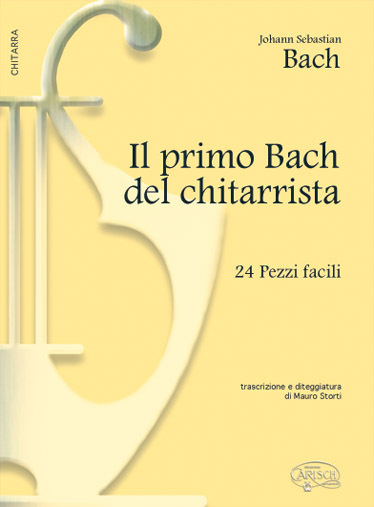 LIBRO DI MUSICA PER CHITARRA. J.S. BACH FOR MANDOLIN. CD TAB. These arrangements of many pieces by J.S. Bach make a great composer's works accessible to the mandolinist. 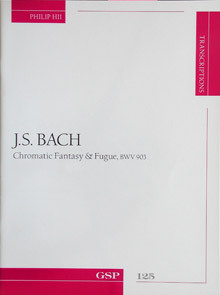 Since the bulk of the music has been adapted from various suites, sonatas, and partitas, the authors provides an explanation of each dance form and other similar pieces. Includes: 'Bauree Angloise' from Partita in A Minor for solo flute; 'Marche' from Anna Magdalena Back Book; 'Fantasie' from Partita No. 3 in A Minor; and more. In notation and tablature. Includes a CD which contains 13 of the 26 solos. 104 pages.